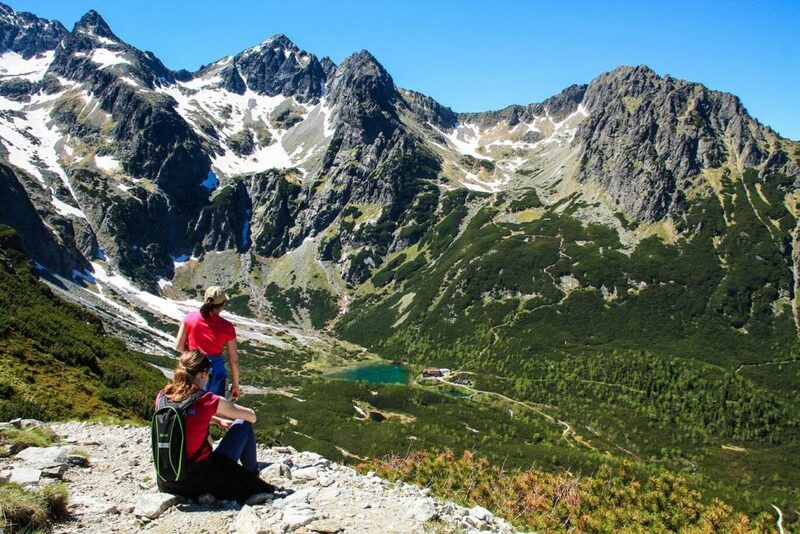 There are lots of hiking possibilities for hiking in the High Tatras, but this hike is just my most favourite. 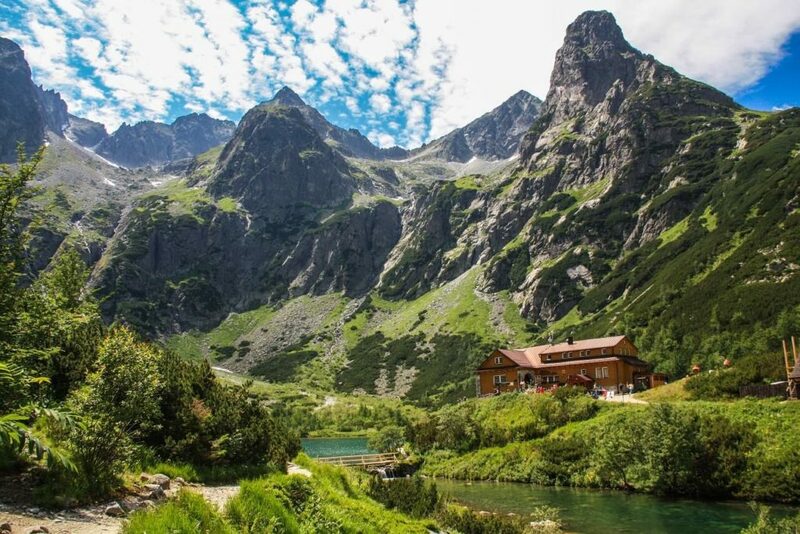 During one day you will see 3 lakes, walk beautiful hiking trails at the foot of the high summits with the views of the valleys, ascend to 2 000 meters high peak and eat lunch at the shore of a lake surrounded by the monumental peaks. There are no more words needed. Just look at all the pictures below. 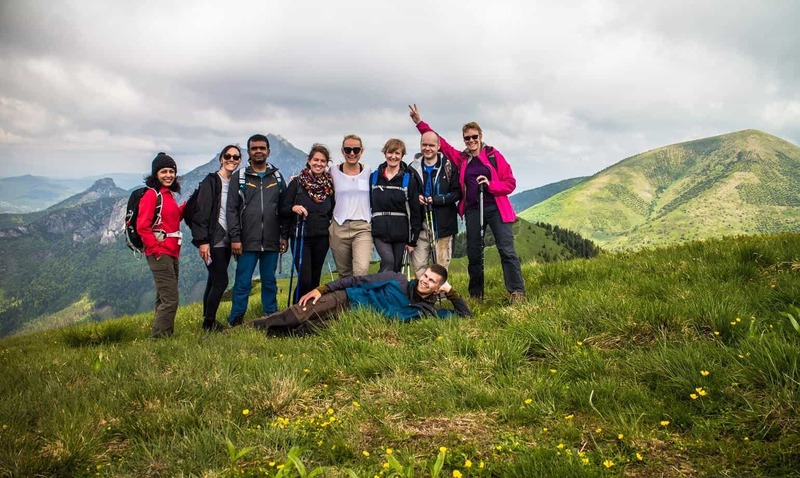 At the end of the post you can also find the route of this hike with the basic information about the hike. 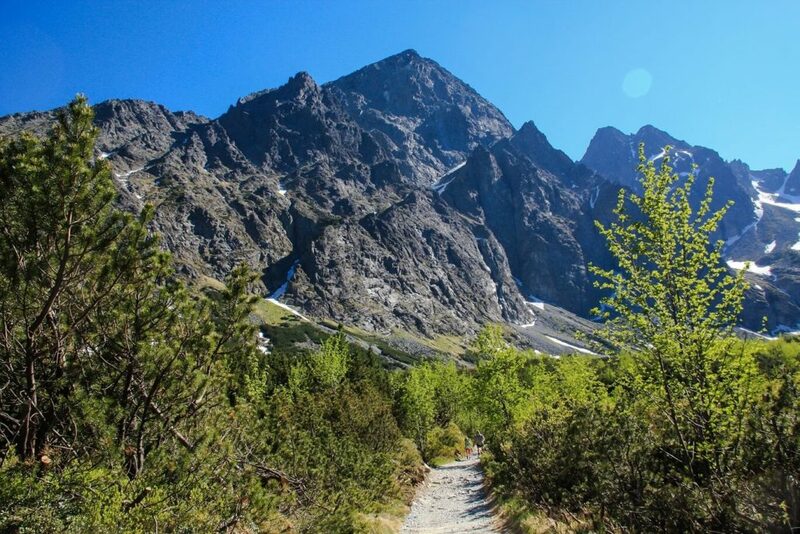 If you would like to walk this trail on your own I could help you to organize your vacation in Slovakia. 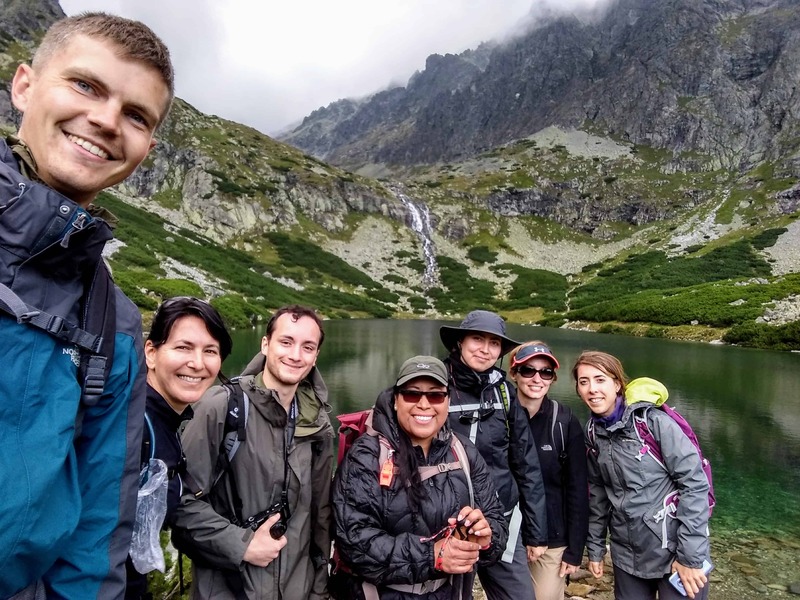 The starting point of the hike – Skalnate pleso. 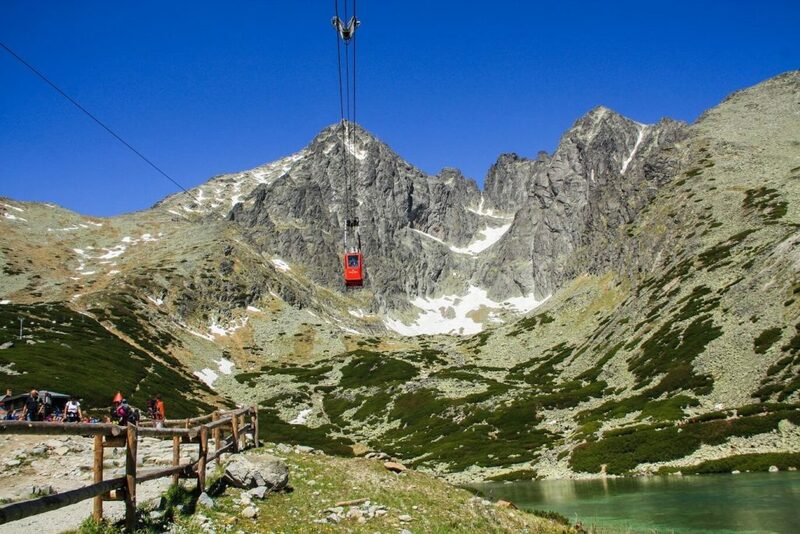 We took the cable car to reach the Skalnate pleso from the village of Tatranska Lomnica. 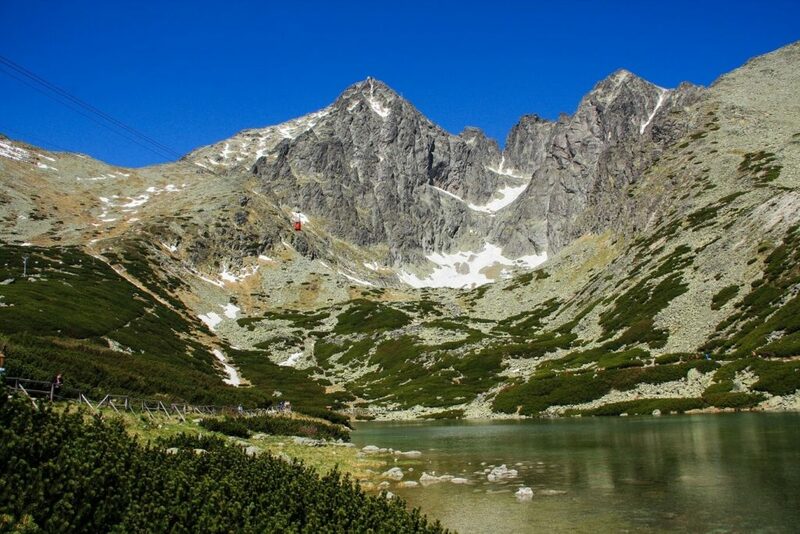 The cable car in the picture is heading to the peak Lomnicky stit, which is the 2nd highest peak of Slovakia. The lake and the peak Lomnicky štít above. 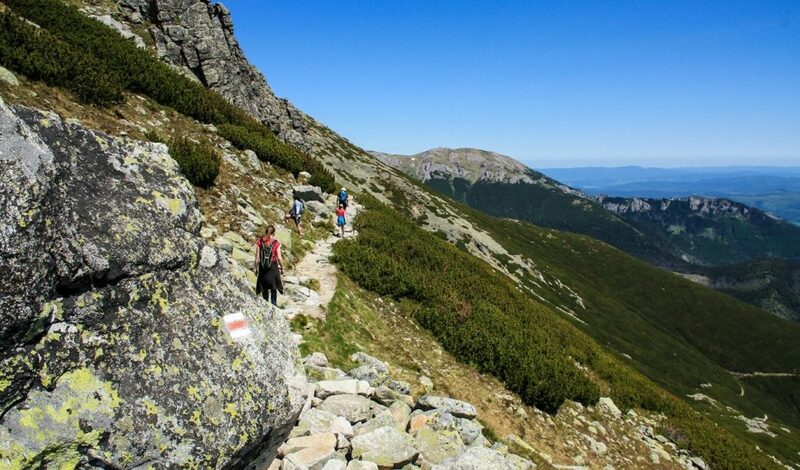 Heading to the peak Velka Svistovka, with an altitude of 2 037 m. a.s.l. This part of the descend was a little bit more adventurous. You have to use the chains while going down. 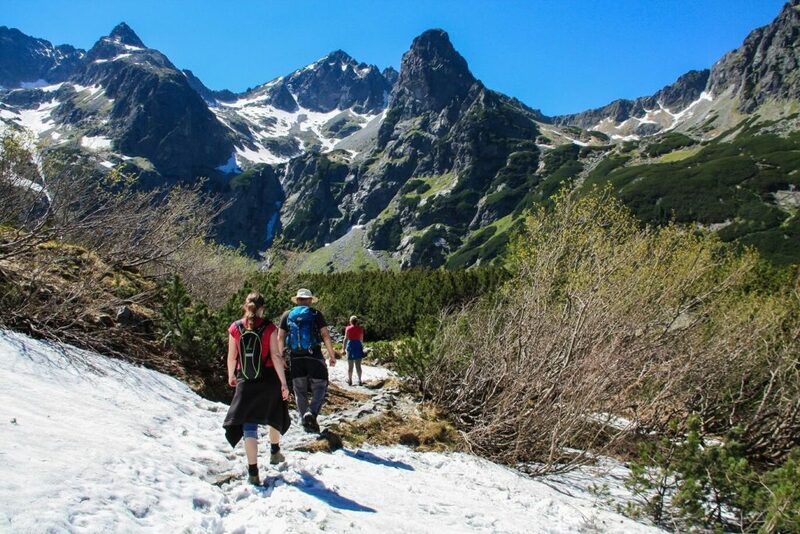 It was the beginning of June, but there was still snow scattered everywhere. We ate the lunch at the terrace and we didn´t want to leave. Look back at the Kežmarský štít. We had an amazing time that day. It's such a beautiful place. Beautiful landscape. 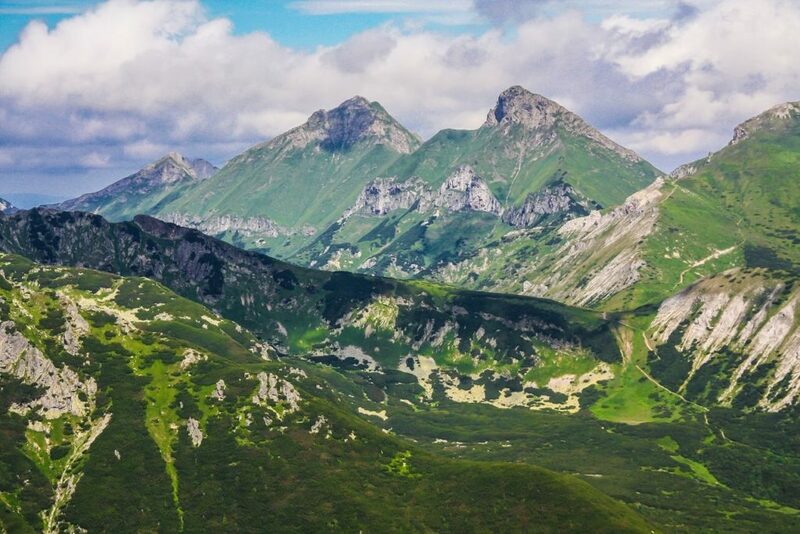 How many hours did it take you to climb the 2nd highest peak in Slovakia? It’s such a beautiful place. Beautiful landscape. 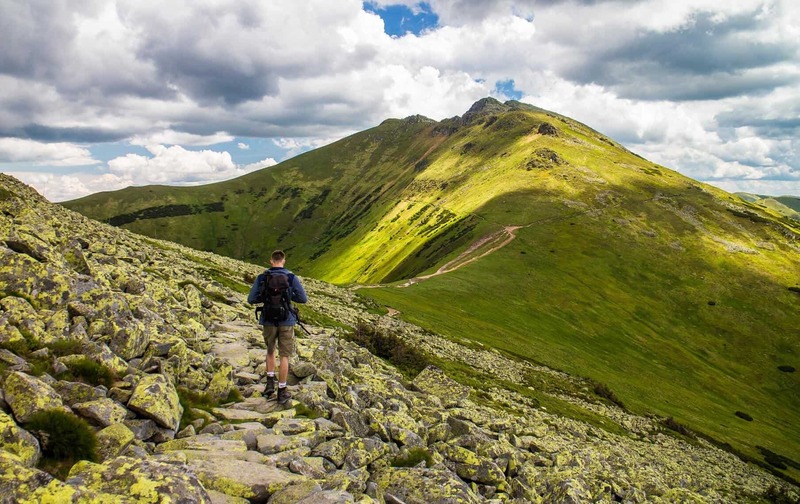 How many hours did it take you to climb the 2nd highest peak in Slovakia? I´m sorry for not responding earlier, but your comment was marked as spam. Luckily I found it. 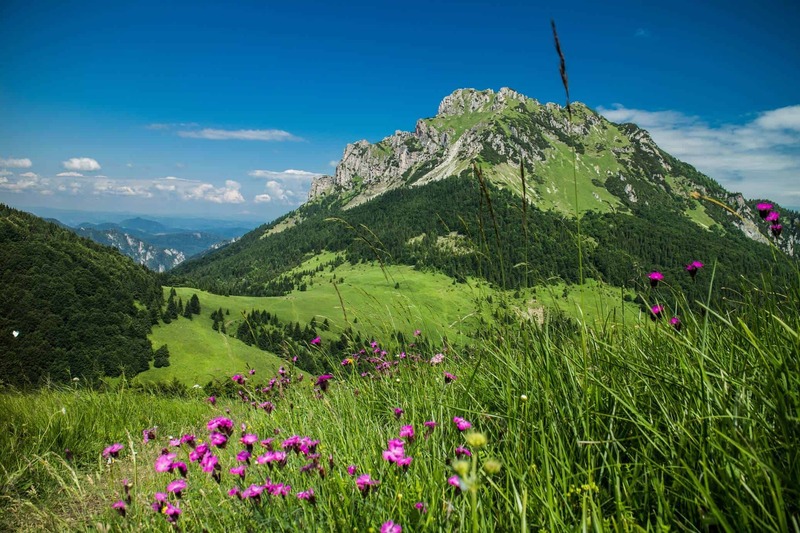 I have never climbed to the 2nd highest peak – Lomnicky stit. There is no hiking trail heading to this peak. 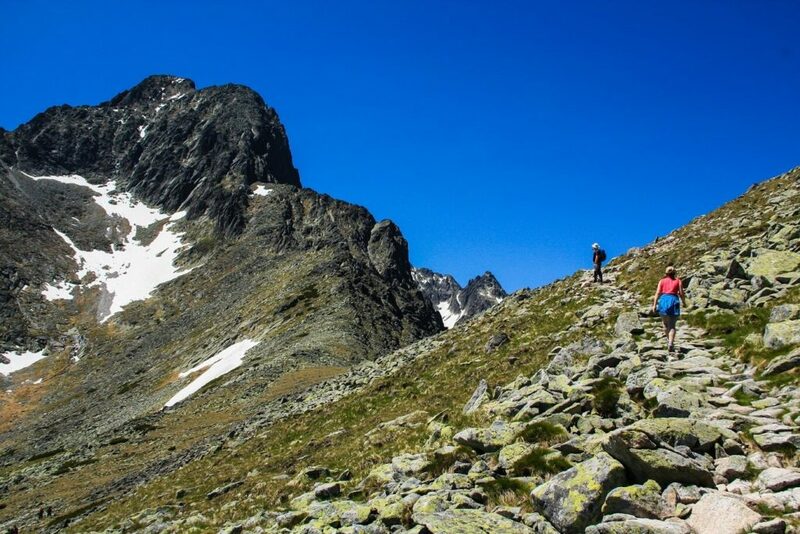 If you would like to climb there, you will have to hire a mountain guide, who will guide you there. 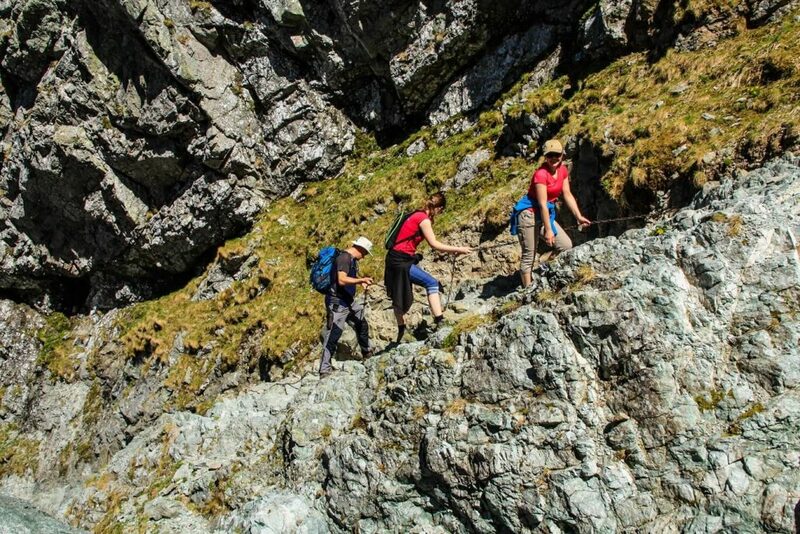 I think that it will be quite challenging hike. 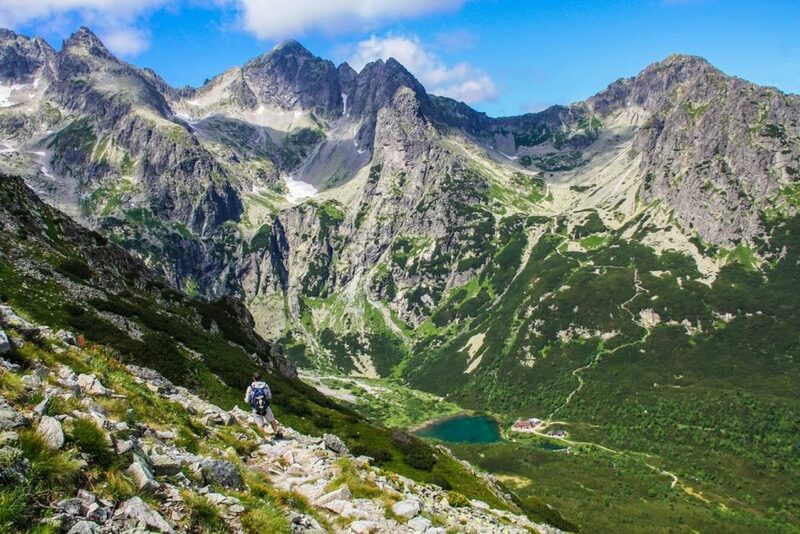 I am very interested to do this hike. Can you do a loop ? My only worry is to not come back to the point where I dropped my car at the first place. Thanks for sharing this helpful information. I love traveling to different places. 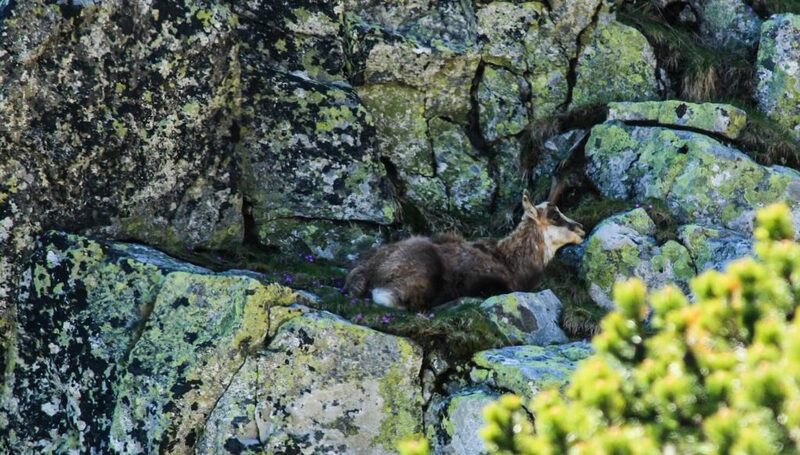 But I was worried about choosing the beautiful hiking place? Actually, I got a lot of information from your blog which you have written your blog. Review this article my confusion is clear, Thanks.